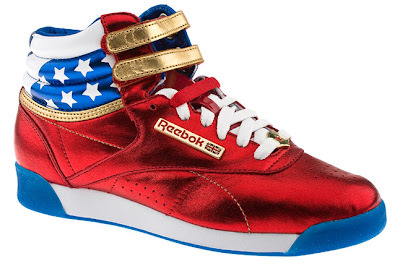 That's right, the Reebok "Wonder Woman" Freestyle colorway has finally landed, and let me say it is gorgeous! 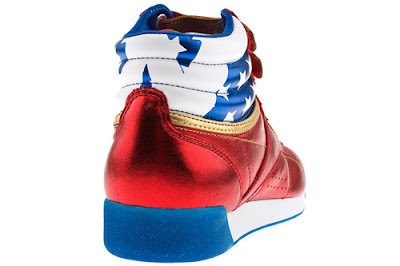 The back upper is covered with the American flag, while the rest is covered in red, white and check this, metalic gold accenting inspired by her indestructable bracelets. That being said, this obviously isn't a sneaker you could pull off every single solid day. 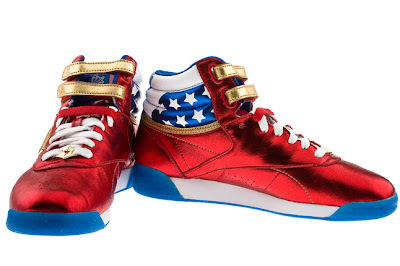 But if your a collector, patriot, comic book fan or you simply love Wonder Woman, these are a must have. Get yours today at http://www.schuh.co.uk/.